The renowned Casa Romana Kos, with its very preserved mosaics, are on display here in excellent form. 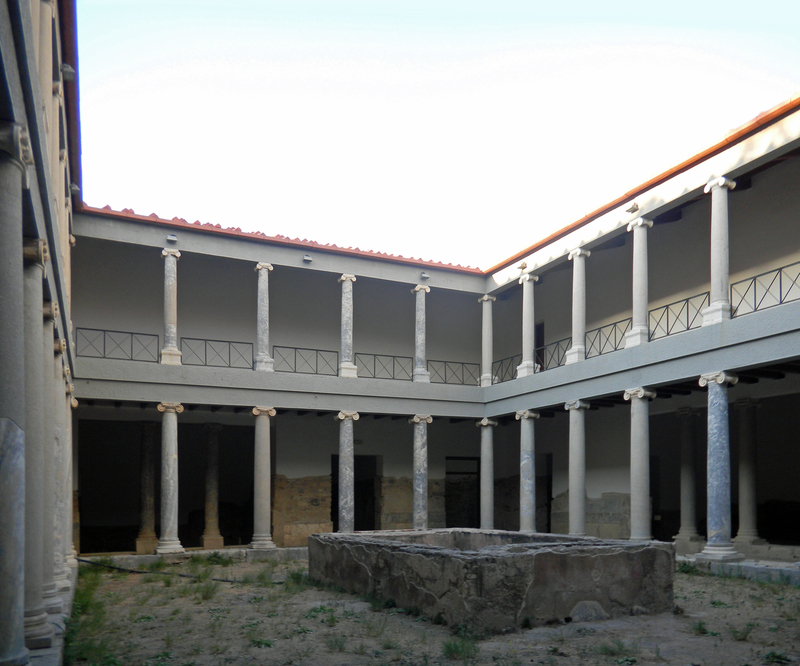 A third century Ancient Roman villa in Kos. With i36 rooms, Casa Romana was certainly luxurious, with it’s beautifully decorated frescoes, carved representations and beautiful mosaics. This renovated villa from roman era is situated in the western part of city Kos near Odeon. A water cistern and mosaic floor with a depiction of a panther tearing apart a dear is also maintained as well as a marble paved-floor in other room. All the mosaics found in Casa Romana date from 3rd c. AD. A number of statues dating from the late Hellenistic period were also found in the building are displayed in the Kos Museum. Across from Casa Romana are the ruins of the second century Temple of Dionysus, worth seeing while visiting the villa. The Roman Conservatory, host to various music events, is also close by.